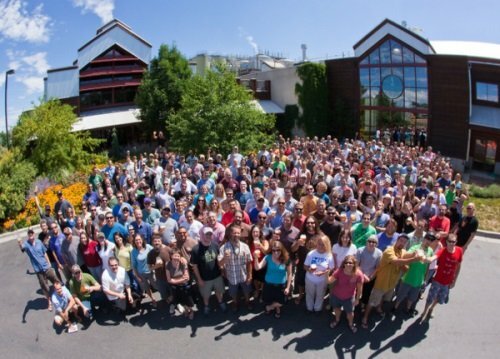 The 456 employees of New Belgium Brewing now own the company. Just another reason why New Belgium is such a progressive brewery. Outside magazine’s sixth annual “Best Places to Work” list once again includes New Belgium Brewing Co. The magazine ranked the brewery 17 out of 100 selected companies. This is the fifth time that New Belgium has made the top 20. In 2008, the Fort Collins brewer debuted at number one. New Belgium’s home state of Colorado is well-represented on the list with 27 of the top 100 businesses from Colorado and 11 of those in the top 25. The full list of the top companies is available at OutsideOnline.com/bestplacestowork. In addition to highlighting the top 100 companies, this year’s “Best Places To Work” list also spotlights companies that offer the best perks. New Belgium is highlighted for having the best vacation perk. Once co-workers hit their five-year mark, New Belgium sends them on a paid trip to Belgium to learn more about the country’s beer and culture. After 10 years, co-workers get a four-week paid sabbatical. Outside’s “Best Places to Work” project celebrates the innovative companies that are setting a new standard for a healthy work-life balance. Outside compiled the list with the help of the Outdoor Industry Association and Best Companies Group. The yearlong selection process began with an outreach effort that identified a wide range of non-profit and for-profit organizations with at least 15 employees working in an office in the United States. Participating companies were then sent confidential employee-satisfaction surveys and employer-questionnaires to collect information about benefits, compensation, policies, job satisfaction, environmental initiatives and community outreach programs. The experts at the Best Companies Group then analyzed the results and selected the companies that best enable employees to pursue active lifestyles while also supporting their social and environmental contributions.